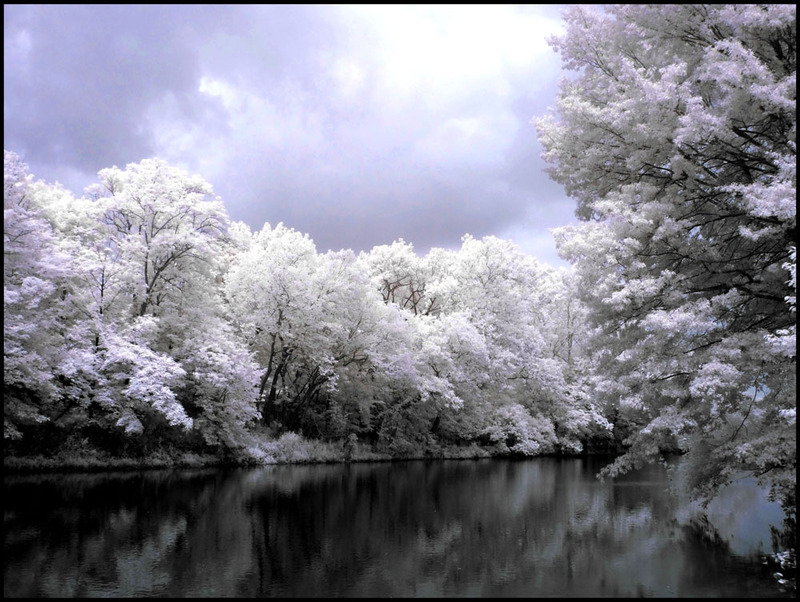 There are already plenty of infrared filters out there, like the standard 720nm, 665nm and 850nm, as well as other options like the 590nm, 800, and 900nm. All of these take significantly different pictures. But the list is not limited to these cutoffs, there are other slightly different varieties, for example 715 and 720 are used interchangeably, as well as 665 and 650, and other similar filters. Even filters that are advertised with the same number usually vary between companies. The advertised number is the 50% transmission cutoff number. Two filters may both have a 50% cutoff at 720nm, while one filter starts transmission at 700nm and another starts at 680nm with the different slope causing a different combination of light to reach the sensor. 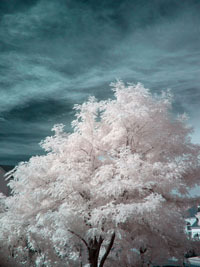 Now for those who use an external filter on a lens and a long exposure also have to deal with the vast differences in cameras’ infrared blocking filters. This can make it very difficult to predict how pictures will come out on a particular camera, the best way to know is to find samples of people who used a particular camera with a particular filter. Luckily there are many samples all over the internet to help. 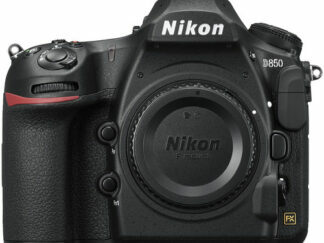 Another factor that determines how pictures will come out is the camera sensor. 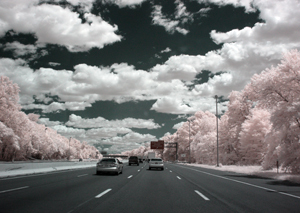 While most cameras aim to have a very standard sensitivity to visible light to accurately capture how we see the world, none are concerned with infrared, so long as it doesn’t reach the sensor. It is very difficult to manufacture photosensors that are sensitive to visible light but not infrared, so the preferred method is to use a filter that blocks infrared light from ever reaching the sensor. 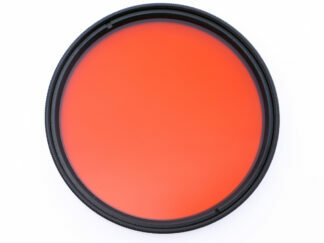 As a result sensors by different manufacturers have different infrared sensitivities. It is not only the sensor that plays a role, but how the camera software processes the signal inputs. For those who shoot primarily in black and white, theres luckily not much to worry about, after about 800nm infrared registers evenly on all channel leading to a fairly consistent monochrome image regardless of minor differences in external filters, internal filters, and sensors. 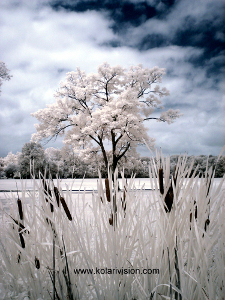 Unfortunately, for those who shoot color infrared, all of these factors come into play significantly. 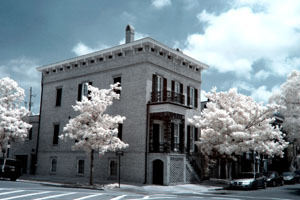 Those who use DSLRS and external filters can usually find samples online of people using their same setup, and even if the results are undesirable the filter is easy to replace, however for those who want to convert their camera, there are very little resources on how specific setups look. We have a review page and sample images page to provide as much resources as possible. 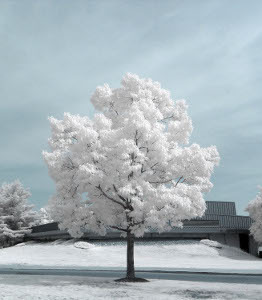 The images below are, when possible, taken with a custom white balance set to grass. This article is only concerning converted cameras and all conclusions are only generalizations and by no means applies to all models. Even within brands there is significant variation. 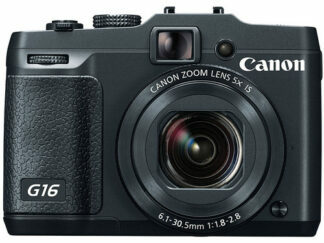 Many canon cameras in the S, SD, and A lines have reduced sensitivity to color compared to other cameras. This will usually result in light blue skies. 720nm filters have colors more simular to higher cutoff filters, and 665nm filters look more like 720nm filters. 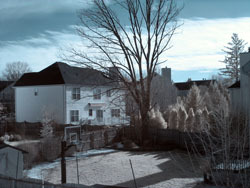 Certain models, like the A3000, make it nearly impossible to get color pictures with a standard 720nm filter.This 720nm filter on the A3000 is nearly monochrome, an unexpected result. 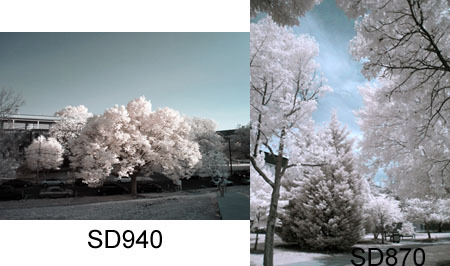 Most cameras are not as severe, such as the SD940 and SD870 which just produce light skies. These can usually have their saturation increased through processing or using the auto white balance instead of a custom white balance. A 665nm filter on many Canons produces effects simular to a 720nm filter normally, with a not as pronounced yellow leaf effect. Below, an SD400 with 665nm filter. Luckily not all Canon’s suffer from this issue. 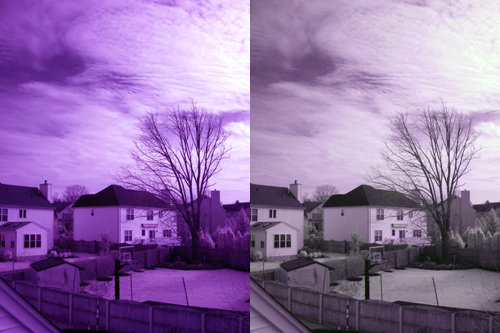 The Canon G line and bridge cameras (S3 IS, S5, etc) produces normally saturated images like you would expect. This reduced color also does not affect DSLRs, they stilll have the same color you would expect from the respectful filter choice. 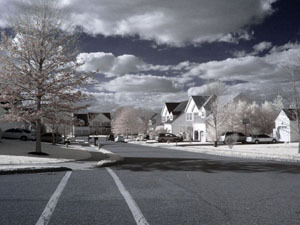 Most Pansonic cameras take photos with a more saturated, disctinctive blue color. Their flash tends to mess up the custom white balance, and some high resolution sensors can have a distinct noise pattern. Another thing to note with these cameras is that the 590nm and 665nm filters tend to come out stranger, with the leaves being more red than yellow, and skies becoming somewhat green. The exception are the LX series. 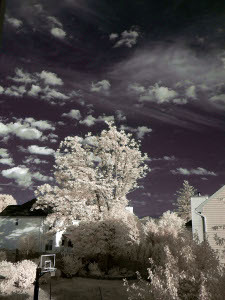 These cameras tend to take lighter blue pictures, although still saturated. Leica cameras are very simular to Lumix cameras; they share many parts between them and many Lumix cameras now carry Leica lenses. Their sensors are not suprisingly very simular, sharing the same deep blue shade. Most Olympus compact cameras we have dealt with do not have very good seperation of sky and leaf color, as a result in order to get blue skies the leaves usually end up tinted too. As a result, this requires extensive processing to acheive acceptable images. Fortunately, this is not true for the micro four thirds cameras, these perform like most dslrs do with regards to color. 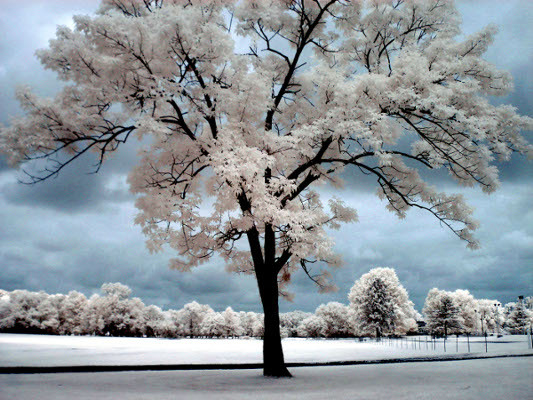 Samsung cameras can produce a wide range of colors. The SL line generally produces a deep blue green shade, while some, particulary the TL320, have a much lighter blue. Sony cameras have a fairly standard color response, that ranges from lighter blue to darker blue. Fuji cameras have a standard to light response to color.